This whole thing makes me sick. 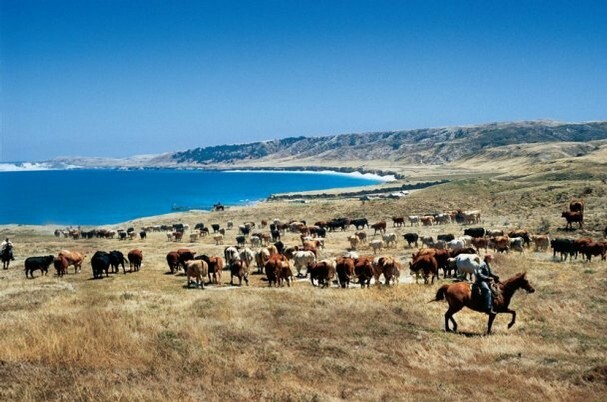 The tragedy of the destruction of the ranching heritage on the central California Coast will be punctuated with the implementation of Park Service 'values' on Santa Rosa Island. Gone will be the vaqueros whose human touch maintained the waters and the infrastructure. Gone will be the responsibilities that manifested themselves in health of the island turf, wildlife, and livestock. Gone will be the character of the contents of the tack rooms and the conversations around kitchen tables of folks tied to the land. Gone . . . and in its place will be the Park Service. Makes me sick . . . It makes me very sad. I spent much of my youth in California before returning to my roots. The Central Coast was a glorious place to be enjoyed by all. Now it's protected land for sea lions, lizards, minnows and weirdos. My father who migrated to California after Korea, raised us near Long Beach and then retired and was buried on the central coast is weeping in his grave. When I returned to Texas as a young adult I only looked back once and that was to bury him. Good thing about the park service is that they will preserve the ranching history through education and interpretive displays for the public. 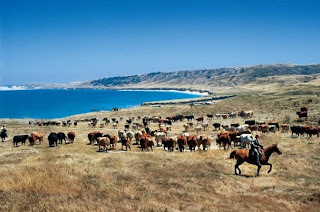 It's now everyone's land and can enjoy the ranching history as well as the natural landscape. The island is sensitive habitat for rare species of plants and animals, and I'm glad a small portion is being protected since so much land has been dominated on the mainland. In what respect Anonymous? My writing skills? This was my island. I'm part of the ranching family that once owned this magical land my great great grandfather bough it . I spent every one of my summers till I was fourteen(because that is when it expired) on the island learning about the natural world the Native American tribes who lived here. My mother used to come as a kid when it was still a ranch and told me stories. I miss it so much and wish that I could have it forever! Thanks for sharing your experience. Sad but appreciated.